projekt202 was recognized in the 79th spot on the 2015 Dallas 100. This marks our fourth consecutive year on the elite list of the 100 fastest-growing privately-held companies in the Dallas-Fort Worth Metroplex. Following is a transcript of projekt202 Chairman and CEO David Lancashire’s on-air interview with Steve Klein, host of “PlayMakers Talk Show.” This interview originally aired Sept. 18, 2015 on KAAM-AM 770 Radio. Announcer: CEOs, civic leaders, entertainers and entrepreneurs, they all have something in common: the drive, vision and heart to achieve success. Steve Klein is a renowned business consultant, author and host of “PlayMakers Talk Show.” Each week, he introduces you to another fascinating personality who will inspire, educate and motivate you to persevere and find your own success. And now, here’s Steve Klein. Steve Klein: This segment, we’re going to speak with David Lancashire. David is the chairman and CEO of a company called projekt202, and that’s projekt with a K. He leads a company that sets the standard for experience-driven application development. With headquarters in Dallas and offices in Austin and Seattle, projekt202 is the world leader in applying design research, the development of mobile, cloud, Web and workplace software. The company is actively changing the way people interact with technology around the world. Now, renowned industry analyst firm Gartner noted, they said, “The perspectives and processes projekt202 is focusing on will, over time, become standard operating procedure for any application development project.” We’re going to talk more about that in a moment. Some of the clients that projekt202 works with are Samsung, eBay, Neiman Marcus, PayPal, Mercedes-Benz and Southwest Airlines. Under David’s leadership, projekt202 has made the Inc. 500/5,000 list for five consecutive years, ranking 161st in 2013, with impressive growth rate of — listen to this — 2,435 percent. David Lancashire: Thanks, Steve, good to be here. Steve Klein: Very impressive numbers. We’re going to talk about that in a moment, but before we get there, there are millions of apps available out there to anybody that wants them. There’s thousands of application development firms. How does projekt202 differentiate itself from other application development firms? David Lancashire: Yeah, that’s a great question, and the answer really is about seeing that what you’re delivering is not a technology, but it’s actually an experience for a real human being. Different types of users, different types of consumers, different types of customers, whatever type of user that is. Our whole reason for being is to improve those experiences that people are having when they interact with technology, and so we can go deeper into the methodologies and approaches we take for that, but the key difference is that we’re doing very specific things to make sure that those experiences are improved. We feel like the market as a whole has not woken up to the fact that there are really programmatic and trustworthy ways to go about figuring out what these experience changes need to be, so that big corporations across the world can improve the customer experience. Technology now is becoming so pervasive and the number of touchpoints in a customer experience for a big corporation are so many that what we’re doing is kind of at the epicenter now of the change that’s happening, so we differentiate ourselves purely around the idea of changing that experience and the way we go about doing that. There are some myths out there about how you do that, and I’d like to try to dispel some of those today as well. Steve Klein: We can do that. You’ve used the word “experience” a number of times and we were talking about this before the show started. This goes back to what I mentioned about Gartner, is that over time, what you’re doing is to become the operating standard for application development project, so let’s talk about that. You talked about some myths. Talk about that, but also talk about what you’re doing to develop that experience for your clients. And I’m not saying that you might not find your very own Steve Jobs to join your organization and get lucky, but what about the companies that have tried that and they’ve failed, or they want something more predictable and trustworthy than that. That’s one of the myths that I want to dispel and talk about how we address that. And the second one is that, “Well, let me just go get closer to my customer, let me just go ask them what they want, let’s just go talk directly to them,” and with the lack of connection, with talking to the customer directly, of course we encourage that, but the problem with us as human beings is when people ask us what we want, it’s sometimes very, very difficult to articulate that, so I can usually tell you what I don’t want when somebody shows it to me, but to really think about what I want, that means I have to be thinking about all the little things I’m doing every day, all those things that are just habit that I may not mention to you. I also may have to be able to envision a future that I’m not used to. There’s a famous quote attributed to Ford about if he’d asked customers what they’d want, it would’ve been a faster horse because their reference point was to a horse when he was envisioning the car. Likewise, so do I envision an airplane when I’m riding on a horse? No, probably not. So those are a couple of the key myths. It’s like, “Hey, let’s hire a UX magician and/or let’s go talk directly to our users.” What is the way that one can approach this in a programmatic way? Well, that is, we can use elements that have been around from psychology and anthropology that are about the observation of people in context and asking questions based on seeing what they’re doing, so very, very intelligent and context-specific questions, you know, that’s really kind of the essence of it. I went to East Germany once before the wall came down and I was sitting on this train journey with a very nice older lady who’d visited her family in the west, and I was trying my best German, but she was a super-friendly lady, chatting all the way. We get to the border and on get the police to come and check your IDs and passports and so forth, and she whispered to me, she goes, “Die blauen! Die blauen!” – which basically means “the men in blue,” their nickname for the police that would come on at that time. And from that moment forward, as we went from the border all the way into Berlin, her entire persona changed. Literally, she froze and we barely said a few words after that, and yet, I felt like we were friends after the first half. So I just use that story, people’s emotional states can be completely different at different times. What’s been great about some of the experiences we’ve had with applications – maybe your favorite application, people like Pinterest, they like Uber, whatever it is, the experience, that said, “Wow! I’m having fun using this particular technology” – is that there’s almost an emotional connection point as well. So what we’re talking about here is an opportunity to really get at the true aspirations of what a user or customer would really ideally like to have, how we can connect with them at a potentially emotional connection point, which is by understanding their actual state of mind when they’re doing certain things where they might be interacting with technology. And so these are a lot more sophisticated things and when you consider that just a decade ago I was running a company that’s in a similar space and we built over a hundred million dollars’ worth of software applications, but we were kept at such a distance from the user, the end user, the customer of the system. We used iterative incremental, risk-based project management to deliver all of our systems, our clients were super happy, we did a lot of business, they came back for more, but there was this sense that we were treading on eggshells if we were going to go get a little closer to the customer and talk to them. So this is a profound shift, it’s something we should all really welcome. But the key is, we want businesses across the world to realize there are real programs available today that they can trust in and that can actually revolutionize the experience they’re delivering to their customers. That’s what we want to make people realize: there’s an investment they’ve got to make, this doesn’t come by magic, you know, sprinkle this magic fairy dust on the project and it works; it’s about getting close to that customer. So that’s where we start to dive into design research and the observation of people in context and we have a whole bunch of sophisticated processes that we use in that, but think of it, you know, in summary as getting a clearer, deeper understanding of a specific user type of the technology that you’re trying to deliver. Steve Klein: Interesting with the behavioral science and psychology and the anthropology that goes into all that. We’re speaking with David Lancashire. David is chairman and CEO of projekt202. Their website is projekt – and that’s with a K – p-r-o-j-e-k-t-2-0-2-dot-com. Switching a little bit, you have a leadership style at projekt202 that fosters a likeable workplace culture. What is that? David Lancashire: Well, I would like to think that the essence of that is about empowering people. Having built a company before in the similar space and observed all these changes that are going on in the industry and positioning us for success going forward, one of the things that was in my heart was that I wanted to give other people a chance to be very successful in ways that I had been in the past. That same sense or leadership style pervades our organization now, so we actually set up each new geographic location – today, we’re in Austin, Dallas and Seattle, and we’re looking at several new locations across America right now – but when we set up a new office, we set it up as a separate subsidiary of the main company and create an entire ownership stake for the team that’s going to be building that particular office. While that’s sort of a symbol of what I’m talking about, what we really try to do is empower those teams, to be successful in their geography and to have all the elements that they need for success. The corporate team is there really to remove obstacles rather than be there to actually help make that team successful, so they should be able to succeed on their own, but we’re here if there is an obstacle. I really feel like the environment comes from, one, the space that we’re in, we genuinely are passionate about helping people have better experiences, so the reason you go to work every day is kind of a fun reason, but coupled with that is that our second philosophy is to empower the members of the team to really go about business in their own way and to subdivide every area of our business into small businesses so that people are running their own thing. You know, many companies have done that successfully in the past, but I really, really subscribe to that point of view. Steve Klein: Interesting psychology in the culture of the company and the culture of what you do for your clients. Tell everybody one more time how they can get ahold of you and the company. David Lancashire: The best way would be to go to projekt202.com. That’s projekt with a K.
Steve Klein: Yes, and matter of fact, I’d recommend going there, there’s a number of videos, one specifically with David that is a longer of the three or four that are on there – it’s excellent – to find out more about projekt202. With a tap of their smartphones or tablets, licensed real estate agents can now quickly, securely capture and deliver clients’ checks directly to title companies. The app comes from Dallas-based ZOCCAM and projekt202, the leader in experience-driven software development. projekt202, a leader in experience-driven application development, today announced that it has entered into an agreement with Edelman for strategic communications services. DALLAS, TEXAS – May 28, 2015 – projekt202, a leader in experience-driven application development, today announced another year of outstanding growth. Over the last 12 months, projekt202’s revenue has increased by 66 percent while profits soared 162 percent from the previous year. The company attributes this growth to the fact that global businesses now need to address sub-par user experiences. This issue has become even more important as organizations assess individual user experiences in the context of an overall set of touch points that drive a customer’s experience of their brand. projekt202’s proprietary methodology for building compelling applications is also the focus of the newly released IDC Vendor Spotlight, sponsored by projekt202, entitled “Building Experience-Driven Software: Insights for Modern Application Development,” by Al Hilwa, program director, Application Development Software Research, IDC. Copies of the IDC Vendor Spotlight are available for download at IDC Vendor Spotlight. projekt202 is the world leader in applying design research to the development of mobile, cloud, web, and workplace software. The company is actively changing the way people interact with technology around the world. Recognized for setting the standard for the way modern businesses develop software, projekt202 builds emotionally rich and intuitive solutions that enable customers and end users to access the full potential of technology in today’s connected world. projekt202 has spent more than a decade creating and bringing to market compelling experiences through experience strategy and design research, interaction and visual design, application development, and digital marketing. Clients include Samsung, eBay, Neiman Marcus, PayPal, Mercedes-Benz, Southwest Airlines, and more. For more information, visit www.projekt202.com or find us on Twitter, @projekt202. 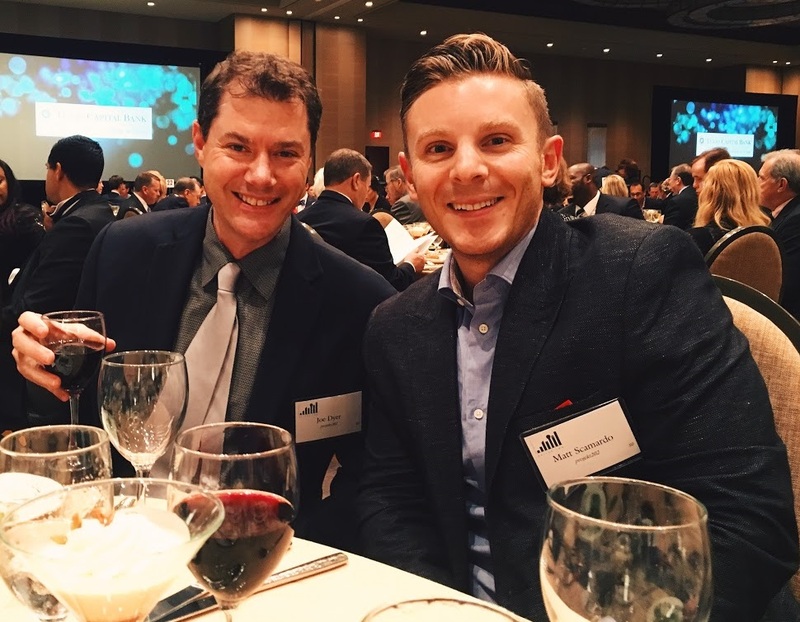 DALLAS–projekt202, the world leader in experience-driven application development, is also leading the Metroplex as one of the Best Places to Work in 2015 having been listed in the Dallas Business Journal’s latest list of honorees. In order to participate, projekt202 employees were anonymously asked questions about work/life balance, training, opportunities for advancement, overall enjoyment at the workplace, and more. The Dallas Business Journal then made its determination regarding companies to include in this year’s awards. As Forbes magazine has recently reported, it’s not enough for companies to simply provide a job that someone will fill. With a multitude of opportunities in the market, from crowdfunded startups to freelance platforms for contract workers, organizations are looking to appeal to talented people more and more. As a company that designs, develops and builds software with people at the center of its methodology, projekt202 also focuses on creating better experiences within its workplace, where employees enjoy a great environment, a fun atmosphere, and a leadership team focused on helping people reach their potential. The Dallas Business Journal will honor projekt202 and other companies at its awards luncheon on June 25, 2015. 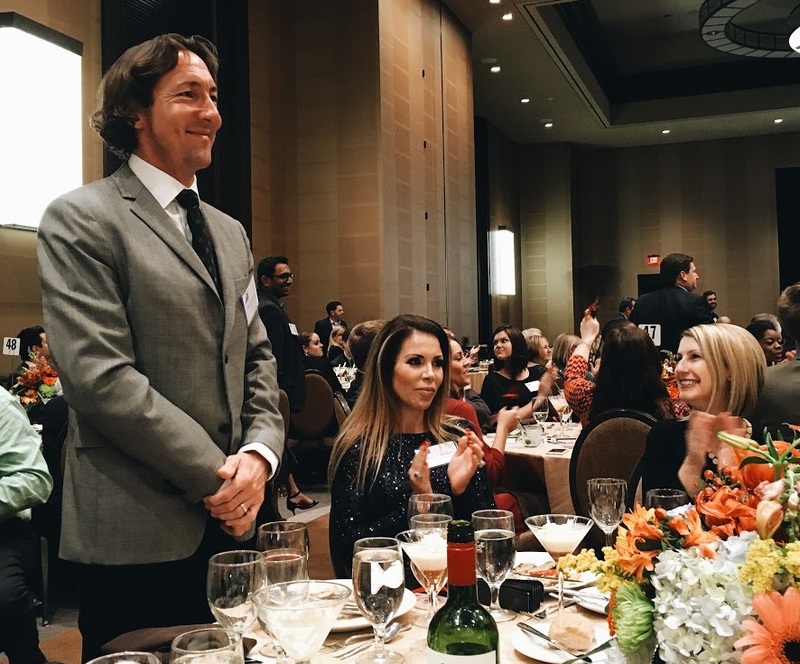 This year marks the thirteenth year that the Dallas Business Journal will honor local companies with its Best Places to Work awards. projekt202 is the world leader in applying design research to the development of mobile, cloud, web and workplace software. The company is actively changing the way people interact with technology around the world. Recognized for setting the standard for the way modern businesses develop software, projekt202 builds emotionally rich and intuitive solutions that enable customers and end users to access the full potential of technology in today’s connected world. projekt202 has spent more than a decade creating and bringing to market compelling experiences through experience strategy and design research, interaction and visual design, application development, and digital marketing. Clients include Samsung, eBay, PepsiCo, Neiman Marcus, PayPal, Mercedes-Benz, Southwest Airlines, and more. For more information, visit www.projekt202.com or find us on Twitter, @projekt202. projekt202 Takes a User-Centric Approach to Software Design. What a Concept. Summary: Before any projekt202 developers tap in a single line of code on your new application, the design staff spends time with your users to find out how they work, what their needs are, and what makes them efficient. Engaging users in the design phase. What a concept. Although engaging users during the design phase of an application should be the normal way to do things, it isn’t. Not by any current standards, at least. The philosophy at projekt202 is different than normal. The developers and the design team for an application extensively engage, interview, and observe users before entering a single line of code. CEO David Lancashire and I spoke about projekt202’s unique application design and build philosophy is the exact opposite of “standard” application development. I found it refreshing to know that his teams take user feedback, work habits, needs, and desires into the core of the application design process. What a new and exciting concept it is when a programmer asks a user how to do something. It’s called “Experience-Driven Software Development” and it’s the modern approach to user-centric design. Maybe this is the new normal for building applications. Initial client meeting, which might or might not include a developer. Requirements gathering for the application covering the type of app, number of users, platform, etc. Developers go into “silent” mode while programming the alpha release of the product. Periodic update meetings to check progress. Excuses as to why the product is delayed. Conversion of old data into the new application format. Excuses as to why 60 percent of the data will be lost or munged. 1.0 release, much long-awaited fanfare. User complaints, bug reports, application crashes, data loss. Long overdue patches and updates. Lather. Rinse. Repeat those last three steps. I’m sorry that this list was painful to read through. It was painful to write. It’s equally painful to live through when having an application built. I didn’t include the pain of dealing with your typical vendor’s offshore (cheap labor) programmers. That’s a whole other painful tale that includes time zone problems, language problems, cultural differences, and misunderstandings of business requirements. There’s no greater joy than to spend an hour (or more) on a phone call and to feel that you’ve accomplished nothing from it. The end result is that you never get the application that you’ve paid for and your users never get an application that truly works for them. In all, you’ve wasted how much time, labor hours, money on something that really doesn’t work for you. There is a better way. The projekt202 way. Focused Innovation - With data points extracted from user observations and other evidence sources, the company puts insights into action and creates a grounded vision for the product and design principles for building it. Building & Evolving - Cross-functional teams are used to build the software. Scrum-like processes are engaged to plan and execute on the discoveries made in earlier phases. As you can clearly see, projekt202’s approach is different than the accepted practice of creating applications on the fly with release/trial/error/reprogram/release, etc. The accepted model doesn’t work. It doesn’t work for users. It doesn’t work for companies that pay for the development and it doesn’t work for the application programmers. Missed deadlines, poor application design, low user acceptance, and high maintenance costs are but a few of the reasons why the accepted model doesn’t work. The user-centric model that projekt202 has developed over the years works. It’s a detour from the normal way of doing things. When you see the projekt202 team working, you might not understand the method behind the madness, but your users will and that’s really what you’re paying for: user acceptance. To empower users in the design and development phases of application development ensures buy-in from the user community because they have had a voice and a hand in creation. It’s not a culture of complaints; it’s a culture of progress toward a goal–a common goal among designers, developers, and users. It’s a brilliant application development method and one that should be far more common than it is. Another unique projekt202 feature is that they’d like not only to talk to you, but also to see you. That’s why the team freely publishes their addresses and phone numbers in Addison, Texas; in Austin, Texas; and in Seattle, Washington. Mobile applications are increasingly becoming a strategic imperative for enterprise and consumer channels. Last year, the industry saw a significant uptick in companies shifting their attention to mobile app development for the exploding mobile device market that also includes the wearable device space. This reality has caused a near panic for companies struggling to keep pace with the evolving speed of technology. The influence of the app-centric world started only a short time ago, with the release of the iPhone, yet many marketers are already behind the curve. With the proliferation of mobile technologies, the landscape is only becoming more complex. Most companies lack a clear mobile strategy, which addresses the present and future evolution of the mobile ecosystem, because they do not fully understand their audiences and the execution skill set needed. The cliché, “There’s an app for that,” is all too true, yet not all apps are created equal. Right now, marketers are trying to figure out how to create and implement the right mobile strategy. Keeping pace with competitive pressures, companies are spending billions of dollars every year developing and deploying mobile apps that do not meet user needs and aspirations or make an emotional connection, wasting at least 30 percent of the overall spend. Clearly, mobile devices have changed consumer behavior and expectations. In a world of 24-hour access to information, shopping and social media, there has been a significant shift in the way that consumers use mobile devices. Apps have evolved to create a powerful brand and user experience. Good apps enable users to do things rapidly, more efficiently, and fulfill a need that in return creates an emotional bond and affinity toward a brand. Users quickly become extremely frustrated with poor apps, leading to a loss in sales and an erosion of brand value. Some common pitfalls to modern-day app deployment include lacking clarity in user needs, not fully understanding the mobile medium, lacking internal development skills and an inability to acquire the tools needed to accomplish the task. Additionally, many marketers are ignoring the growing global audiences. Mobile access and usage are growing at a fast clip in foreign countries. Staying ahead of the competition and creating engaging user experiences requires a thorough examination of what marketers want to accomplish, whom they are trying to reach and what end users need. A key strategy for success entails crafting and executing a well-thought-out mobile strategy that includes making a decision to go the native apps route or the Web app route. The demand is global, and the shift is taking shape in different forms and in different places. Marketers will need to invest wisely with a clear strategic plan. With so much at stake, companies should not just rush to push out an app and see if it sticks. They should step back and create a solid strategy that will propel the goals of the organization, and address actual user needs, aspirations and emotional connections. If a mobile solution does not address real user needs, it will not create a lasting impression and the abandonment rate will be high. Providing the right information at the right time in a simple and intuitive way will drive adoption, increase efficiencies, loyalty and brand awareness. Trends to watch include location-based services, wearable technology and the Internet of Things. Marketers must think about the big picture. Getting it right the first time is crucial. There is a very clear step that marketers can take to better define their mobile strategy. It begins with understanding the user. To understand users is to be able to step into their perspective and interpret what matters to them – to empathize with their challenges, achievements, motivations and desires. This kind of understanding does not come from numbers alone or from counting clicks. Borrowing from the fields of anthropology and psychology, trained researchers must spend time with users, watching what they do, talking to them, and witnessing their frustrations and their victories firsthand. From there, these teams will take what they have learned about people and make decisions through the lens of the business goals, selecting opportunities that are most effective. With design and development teams working alongside the researchers, marketers can ensure that they are building software that meets true user needs. MARKETERS CANNOT just sit back and wait. Those without an effective mobile strategy are already behind the curve. There is a pressing need to focus intellectual and financial capital into deploying short and long-term strategies to meet the ever-evolving user demand and changing global mobile appl environment. Merely deploying apps without the upfront legwork will fail. Peter Eckert is cofounder and chief experience officer of projekt202, Dallas, TX. Reach him at peter.eckert@projekt202.com. When content management startup ContentGuard decided to move from Southern California last year, its choice for a new headquarters came down to Seattle or cities in Texas. In the end, perhaps surprisingly, it picked Plano. The rich talent pool of mobile app developers in North Texas was a major factor in the company’s decision, said ContentGuard chief product officer Scott Richardson. Traditional technology centers like Silicon Valley, New York and Austin aren’t the only places where developers are thriving as demand for mobile applications grows. The Dallas region, too, is becoming a hub for computer and software programmers as well as app and Web developers. With North Texas’ lower cost of living, a rich pool of potential corporate clients and a growing economy, businesses and employees are finding job opportunities or moving here. Consider the job growth in the custom computer programming industry, which represents about 43 percent of information technology services employment in the U.S., according to the Bureau of Labor Statistics. It’s an industry that has recovered and grown since the recession. In North Texas, custom programming employment grew at a faster pace than in Texas and the U.S. as a whole over the last decade. In the Dallas-Fort Worth-Arlington metro area, for instance, computer and software programming jobs more than doubled to an annual average of 23,193 last year, from 10,387 jobs in 2003, according to an analysis of quarterly employment census data from the BLS. In fact, Collin County saw a whopping 492 percent growth in such jobs over the last decade, outpacing bigger counties in Texas and tech centers like New York County and San Francisco County, according to the BLS. While Collin County’s programming workforce is relatively small, the county now accounts for 5,588 such jobs, compared with 944 jobs in 2003. From startups to large companies, employers are recognizing the growing workforce. Take Tyler Technologies, a $417 million software company in Plano. Bruce Graham, president of Tyler’s fast-growing courts and justice division, says the company no longer needs to go to Austin or Silicon Valley to hire software developers. Tyler’s courts and justice business implements and manages electronic filing and online court systems for judicial systems around the country, including Texas and California. It also provides technology for law enforcement to manage dispatch, incarceration and other related data. Given the consumerization of technology, “applications like ours have to be sexier and more mobile,” Graham said. That means developing software that’s more intuitive to use and takes design into account. To build a pipeline of talent, Graham has built a partnership with the University of Texas at Dallas’ computer science department that involves seniors working on a project with Tyler developers. Over the last few years, Tyler has also hired six UTD computer science graduates. This summer, Tyler is hosting three interns from the school’s computer science department. Besides building and expanding its in-house development talent, Tyler works with outside development firms, like RD2 and projekt202 in Addison. projekt202 CEO David Lancashire said the industry’s growth in the region is due in part to the growing recognition among businesses that enterprise software can be just as enjoyable as consumer-focused technology. That shift is translating into growth for the firm, which focuses on developing Web, mobile and workplace software applications, Lancashire said. The firm, which also has offices in Austin and Seattle, has hired 53 people so far this year. A mix of software architects, developers and user experience experts, 21 of the new hires were in the Dallas area, Lancashire said. Finding programming talent was a worry for John Dubois, co-founder of Oculus360, a big data startup in Plano. A longtime Austin resident who also worked in Silicon Valley, Dubois moved to the Dallas region to launch Oculus360. While it made sense for the startup to be based in North Texas — one of its investors, Trailblazer Capital, and many corporations are based here — Dubois questioned whether the software development talent pool would meet the company’s hiring needs. Most of the hiring for developers has been local, Dubois said. The 19-employee startup, he said, has found both experienced software developers who left large companies to try their hand at working for startups and entry-level developers just out of college or with a few years of work experience. “My biggest concern was technical talent in general,” Dubois said. “When I thought of Dallas … I thought more about hardware and the telecom corridor. The answer is absolutely there is [software talent here]. Want to be a part of our rapid expansion? We’re hiring! DALLAS–June 3, 2014–projekt202, the world leader in applying design research to the development of mobile, web and workplace software, has been included in the “Cool Vendors in Application Development, 2014” report in its Where Are They Now portion by Gartner, Inc. The dramatic growth in companies wanting intuitive applications with a compelling user experience is indicative of the pent-up demand for a solution to this problem. What has been lacking over the last few decades is the ability to incorporate actual user needs into software development. The progress being made today by projekt202 draws from the science of understanding human behavior to create a programmatic and repeatable way to reveal the reality of user needs. We’re hiring; join us as we set the new standard for application development! DALLAS, TEXAS – OCTOBER 17, 2013 projekt202, a design-led technology services firm, today announced that they were the recipient of two prestigious awards that recognize today’s fastest-growing companies. Inc. magazine ranked projekt202 No. 161 on its annual Inc. 500 list of the nation’s fastest-growing private companies and the Metroplex Technology Business Council ranked projekt202 No. 3 on its annual Fast Tech Award list of fastest-growing technology companies. projekt202’s other significant rankings on the Inc. 500 list include being named No. 15 of the Top 100 Software Companies and No. 20 of the Top 100 companies in Texas. “We are delighted that what we have worked so hard to perfect – our blend of generative research, user experience design, and technology development – is now gaining visibility on a global stage,” said Peter Eckert, Chief Experience Officer of projekt202. projekt202 is the world leader in applying strategic design research to spark innovation. The company is actively changing the way people interact with technology around the world. Recognized as an innovative and impactful vendor in application development, projekt202 creates emotionally rich and intuitive solutions that enable customers and end-users to access the full potential of technology in today’s connected world. projekt202 helps to create and bring to market compelling experiences through design research, interaction & visual design, application development, and digital marketing. Clients include Expedia, Microsoft, Samsung, Charles Schwab, NFL, PayPal, Pier1 Imports, and more. For more information, visit www.projekt202.comor find us on twitter, @projekt202. SEATTLE -- Jan. 14, 2013 – projekt202, headquartered in Dallas, Texas, announced today that they have opened a new office in Seattle, Washington, to extend their leadership in user-centered research, design, and development. 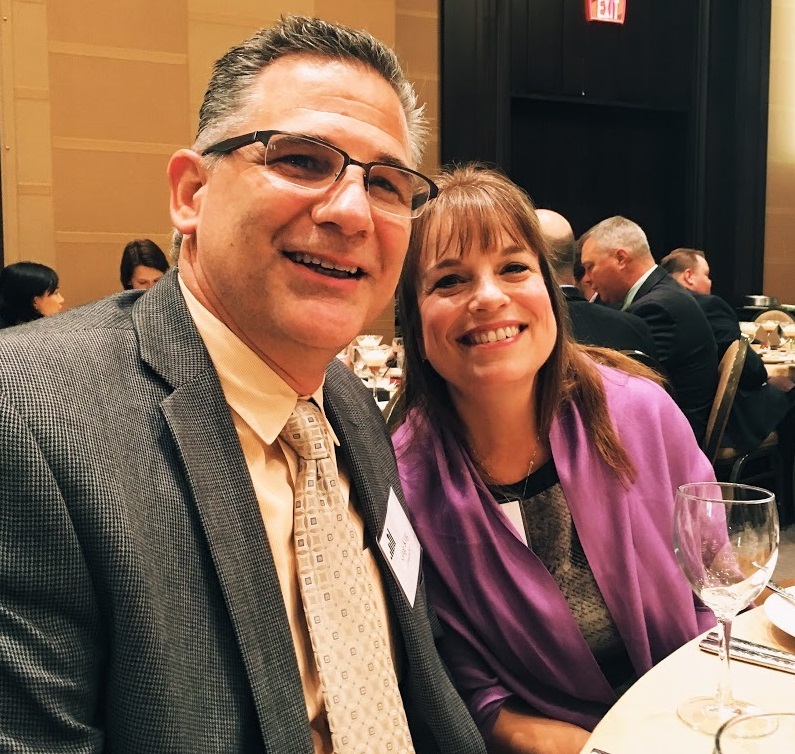 After being named to the Inc. 500|5000 list of fastest growing companies for two consecutive years, projekt202 was recently presented the Dallas 100TM Award, identifying the company as the thirteenth fastest growing privately held company in Dallas. With offices in Dallas and Austin, projekt202 has an interdisciplinary team of more than 100 researchers, designers, developers, and digital marketing strategists focused on creating real-time, context-driven, responsive user experiences. The opening of the projekt202 Seattle office comes as the next step in the company’s strategic growth plan of opening one new office per year over the next five years to create greater distribution for their unique blend of services. projekt202 is the world leader in applying strategic design research to spark innovation. The company is actively changing the way people interact with technology around the globe. Recognized by Gartner as an innovative and impactful vendor in application development, projekt202 creates emotionally rich and intuitive solutions that enable customers and end-users to access the full potential of technology in our connected world. projekt202 helps to create and bring to market compelling experiences through design research, interaction and visual design, application development, and digital marketing. Clients include Expedia, Microsoft, Samsung, Charles Schwab, NFL, PayPal, Pier1 imports, and more. For more information, visit www.projekt202.comor find us on twitter, @projekt202. Gamification: What If the Game Is Over? Gamification, using game-play mechanics for non-game applications to engage users and drive desired behavior, has become all the rage, or so it seems. Like any hot trend, there is a tendency to overcompensate for the sake of participating in the new, hot concept. The herd mentality leads everyone to think they need to gamify their product, app or solution to just to keep up with the pack. By 2014, some 70 percent of large companies will use the technique for at least one business process, Gartner estimates. The problem with hip concepts, however, is that the devil truly lurks in the details. Gamification has its place — the key is modesty. We live in a world where context is becoming increasingly important. Consumers are bombarded with too much information from a variety of sources. Because of this, what people hear and see gets lost without context. Without that context, relevance and meaning are lost and people lose interest altogether. In order to create engagement, users need the right amount of feedback at the right time. It is increasingly common for companies to throw in an abundance of features without understanding the exact challenge that needs to be solved — inadvertently creating additional levels of complexity and confusion. Adding elements such as badges, levels of achievement and other useless information without providing a value-added or beneficial outcome can feel pointless and distracting for the user. When to use or to avoid gamification is a case-by-case decision, but the end goal should be to engage users while meeting an objective. Through user research, designers can uncover what motivates users and pair their needs with the organization’s objectives. What qualifies as a good or bad use of game theory is subjective, but tech news reports can point to several examples of infamous gamification failures. By analyzing the data and looking at the root cause, it will generally point to a poorly executed strategy that includes a lack of understanding user needs, context, motivation and feedback. There are ways to successfully gamify. Using gamification to enhance the user experience must take different user motivations into account. For example, if the goal is to drive user to donate to a cause, a reward system should engage them to return more frequently and feel emotionally connected with the process. A ranking system might be implemented to encourage friendly competition between users. Whether the goal is to increase donations or competition, understanding motivation is key. One of the first objectives of gamification should be to understand the critical needs of the user; this can be further narrowed down using Kano analysis, a process for measuring and categorizing users’ emotional reposes to features. User interface designers can use this to determine what kind of features will directly affect adoption and the success rate of a product. It should be no surprise that gamification for the sake of gamifiacation is not going to hit the mark. Diving in headfirst without understanding what truly motivates the user demographic and providing useless feedback is a recipe for failure. For example, Zappos and Google both found that their gamification efforts were a disaster for similar reasons. In 2010, Google unveiled Google News Badges, which let users earn more than 500 types of badges based on articles they read. Readers could move up the ladder the more they read and shared their badges with friends. Did this really motivate people to go to Google news to read articles? No, it did not. To collect the badges, readers needed to turn on Web History from their Google account. As it turns out, earning badges for reading articles is not enough of an incentive for readers to share their Web history. The initiative was killed in September. Recently, shoe retailer Zappos fell into the meaningless badge game as well. VIP members could earn badges based on their activity, such as writing reviews and shopping. The problem was that it was not clear what the badges meant. The badges didn’t have any monetary value toward future purchases, which caused confusion. Without context or relevance, the badges tended to distract rather than keep shoppers engaged. When done right, gamification can create meaningful and impactful solutions and applications. Appealing to the competiveness and the desire to measure progress, Nike+ hit a home run. Runners use their iPod and a sensor system attached to their shoe. After their workout, they can connect their iPod to the Nike+ website and get a visual representation of their run, including time, pace and distance. This enables runners to measure their own progress, compare different runs as well as compare their training to others. Nike+ gamified running by providing immediate and relevant feedback in a way that motivates runners. Corporations are not the only ones using gamification. A number of nonprofit organizations are using it to allow people to set up their own fundraising campaigns for a cause or to motivate people to donate. Playspent.org is a fundraising site designed to drive donations to Urban Ministries of Durham. The interactive site engages visitors through several game scenarios demonstrating how difficult it can be making ends meet for those making minimum wage or less. After playing, the site directs you to a place where you can learn more about the mission of the organization and how you can help. While gamification will continue to be a hot topic, not everything needs to be gamified. However, when used in the right context, it can create a meaningful user experience. The best approach for adoption is through user research, identifying the exact needs of the core demographic and adjusting conventions to address those needs. The results of the research can show what the users of a specific product or service truly need. Once that is determined, a UX strategy can be established incorporating the best fit for the user. Gamification is all about the user experience, just like any other user interface design strategy. It will be game over for those who rush to market with out a well-thought-out user experience strategy, but don’t hate the player — reinvent the game. 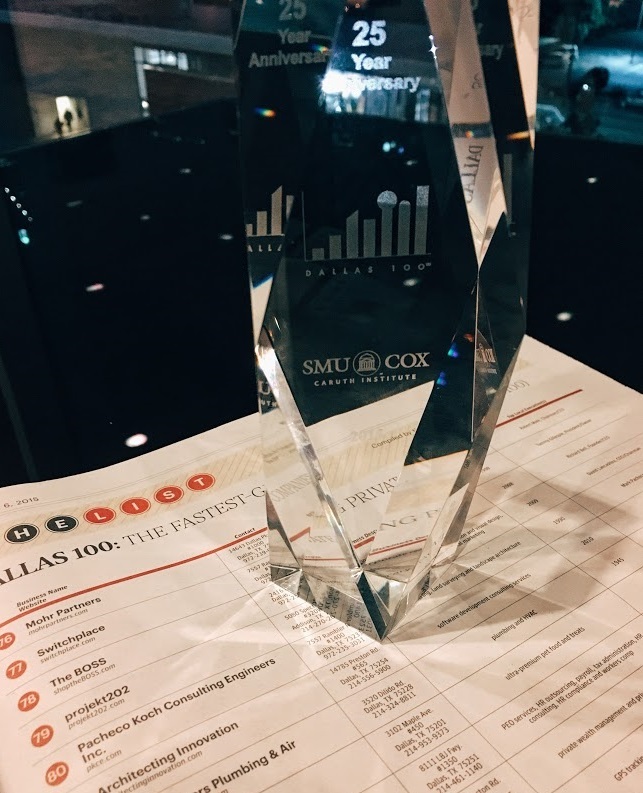 DALLAS — DECEMBER 20, 2012 -- projekt202, a design-led technology services firm, announced today that they were the recipient of the Dallas 100™ Award presented by Southern Methodist University’s Caruth Institute for Entrepreneurship. The company achieved an outstanding average growth rate of 229% over the past three years. As a result, projekt202 was named the thirteenth fastest growing privately held company in Dallas for 2012. According to forecasts released by Cisco, there will be over 10 billion mobile-connected devices by 2016, with the average smartphone generating 2.6 GB of traffic per month, up from the 2011 average of 150 MB per month. As a result, businesses and consumers are becoming more connected than ever. With this increased connectivity, it becomes critical for a company’s digital presence to be responsive to how their customers and users connect to the company’s information. projekt202 is well-positioned to help companies in this regard whether the device is a desktop computer, a tablet, a smartphone, or an embedded system. 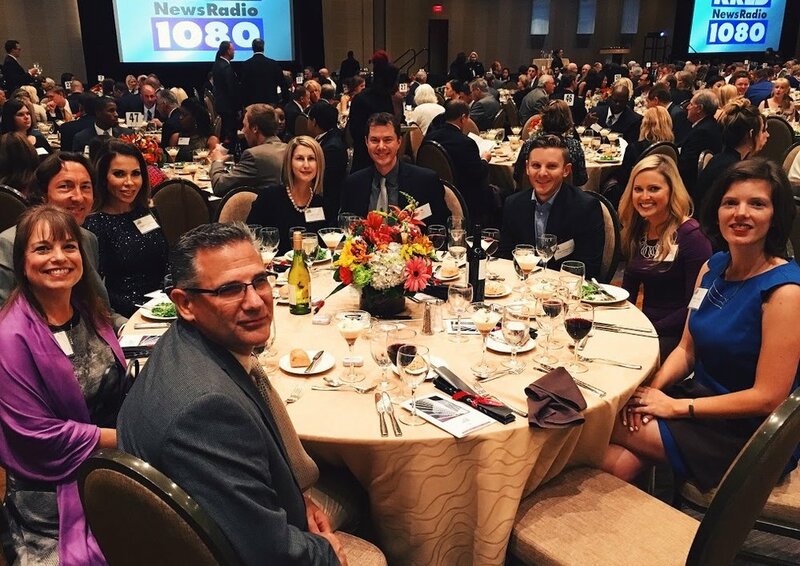 The Dallas 100™ Awards is an annual event that identifies and honors the 100 fastest growing, privately held companies in the Dallas area with at least three-year of sales history with continuous, exponential growth. projekt202 is the world leader in applying strategic design research to spark innovation. The company is actively changing the way people interact with technology around the globe. Recognized by Gartner as an innovative and impactful vendor in application development, projekt202 creates emotionally rich and intuitive solutions that enable customers and end-users to access the full–potential of technology in our connected world. projekt202 helps to create and bring to market compelling experiences through design research, interaction and visual design, application development, and digital marketing. Clients include Samsung, Charles Schwab, Expedia, NFL, PayPal, Pier1 imports, and more. For more information, visit www.projekt202.com or find us on Twitter, @projekt202. You are looking at a list of 18 proposed features for your product. Flat out, 18 are too many to include in the initial release given your deadlines, and you want identify the optimal subset of these features. You suspect an executive’s teenager suggested a few. Others you recognize from competitor products. Your gut instinct tells you that none of the 18 features are game changers and you’re getting pushback on investing in upfront generative research. It’s a problem. What do you do? You might try what many agile teams and UX professionals are doing: applying a method that first emerged in Japan during the 1980s called the ‘Kano Model’ used to measures customer emotional reaction to individual features. At projekt202, we’ve had great success in doing just that. Our success emerged from revisiting Kano’s original research and through trial and error. What we discovered is that it really matters how you design and perform a Kano study. It matters how you analyze and visualize the results. We have also seen how the Kano Model is a powerful tool for communicating the ROI of upfront generative research, and how results from Kano studies inform product roadmap decisions. Overall, Kano studies are a very useful to have in our research toolkit. We uncovered the Kano Model while researching ways to measure delight. Back in 1984, Noriaki Kano, a Japanese academic and consultant, disagreed with the then accepted theories on retaining customer loyalty: by addressing customer complaints and extending the most popular features. Kano intuited that retaining loyalty was far more complicated. He did what all researchers do: defined hypotheses and devised a study to substantiate these theories. Kano’s work was subsequently leveraged and extended in the U.S. by Quality Management consultants. The more we looked at how this 25-year-old approach was being applied today in market research and by agile teams, we sensed a lack of rigor and were compelled to go back and learn from these original researchers to ensure we applied the method correctly. We translated Kano’s original paper from Japanese. We discussed the relative merits of the different statistical analyses published by the Center for Quality Management with UX statistician Jeff Sauro. The net result is total confidence in our approach to using this method. Before we talk about performing a Kano study is important to understand Kano’s hypotheses. He theorized there are five different emotional responses to features, ranging from dislike to delight, Unlike his contemporaries in 1984, he felt customer loyalty correlated to the emotional response ‘profile’ of product features—getting just the right blend that included surprising users and giving them features they didn’t know they wanted until they experienced them. Then he conducted a study with 900 participants to substantiate that these emotional response types exist and can be reliably measured. Kano visualized the five emotional responses as curves on a graph, where the y-axis is the emotional response and the x-axis the level of sophistication of a feature. The intensity of the emotional response is driven by how fully present and sophisticated the feature is. Attractive features trigger feelings of satisfaction and delight when present, but users are not dissatisfied if the feature is not included. Attractive features are unexpected and address previously unmet needs. The best way to discover these types of features is through generative research. These features are key to generating positive buzz about products. These features result in satisfaction if present and dissatisfaction when they are not. This linear relationship between feature sophistication and emotional response is true primarily for product qualities like ease of use, cost, entertainment value, and security. These features are ones that customers expect the product to contain. There is a limit to the emotional benefit gained by embellishing and enhancing must-have features. Users are ambivalent about unimportant features, they simply do not care if they are included or not. The ROI for these features is low. Including undesired features negates the positive impact of Attractive and One-Dimensional features. Kano theorized customers’ perception of satisfaction changes over time. Features that trigger delight today will, over time, come to be what all customers expect and request. Of the five emotional responses, it is the Attractive feature curve that morphs into the Must-Have curve. In addition, the definition of ‘best-of-breed’ is constantly changing, impacting where a given feature falls on the x-axis. We were eager to try out Kano’s ideas on our projects. The basics are straightforward: explain or demonstrate a feature, ask the user how they would feel if the feature was present, and then ask how they would feel if the feature was not provided, or not as fully present. These positive/negative question pairs are related to the two different points on the graph, and knowing the two points enables determining which emotional reaction the user is experiencing to a given feature. The responses listed below are not designed to offer a simple rating along the emotional response scale, but to foster a sense of expectation. The responses to each of the two questions allow you to identify the reaction category. Kano provided an evaluation table. In the example shown below the highlighted row shows the response to the first, positive question. The highlighted column shows the selection for the second, negative question. The intersection of the row and the column contains the category type for this feature, in this case Attractive. Quantitative analysis triggers powerful conversations with clients. These conversations leverage qualitative findings to understand the ‘why’ behind these numbers. Not everyone reacts the same way to different features. While not a big surprise, finding patterns in these differences yields useful insights. We begin our analysis of the Kano data by identifying, if possible, different personas. We then subset the data into persona groups. This allows us to build reaction profiles for each persona. We examine the differences in reactions between the personas for each feature. We found in several studies that users’ reaction to the software’s core feature is a litmus test for membership to a persona group. For example, in one study, we saw the following responses to a core feature. First Adopters (dark green) are individuals who perceive a need for this software. One-Dimensional qualities and Must-Have features are ones users request and expect. We assigned membership to the ‘First Adopters’ persona for these individuals who we believe are the most likely to purchase the software in the near future. Late Adopters (bright green) are individuals who find the core feature to be ”attractive and unexpected.” We hypothesized that this group, while interested in the software, will delay purchasing until the concept is more mainstream. Non Adopters (yellow green) are not interested in the core feature and will not use this software in the foreseeable future. When we filtered the results for the rest of the features by these three persona groups, we noticed differences in how the different groups responded to some features. This quantitative data grabbed the client’s attention and persuaded them to reevaluate certain things, including features the first adopter group disliked. The following data shows one of the features that the first adopter persona group was not interested in and in fact would trigger negative reactions. Since the first adopter group was critical to ensuring the product’s adoption at launch, the client decided not to pursue the feature that this group disliked. To answer our initial question about which features to include, we constructed visualizations that allowed us to compare and rank user responses for all features. To accomplish this task we turned to methods first reported in 1993 by the aforementioned CQM. CEOs and senior executives from seven major New England companies who wanted to study together founded CQM in 1989—implementing cutting-edge management practices to accelerate performance improvement. In their report on the Kano Method, they compile experiences and advances from a variety of practitioners. Of the various methods reported, we recommend three. The first is a supplement to the Kano questionnaire itself. In addition to the two questions asked per feature, the user is also asked to indicate how important the feature is. This ranking is on a nine-point Likert scale ranging from ‘Not at all important’ to ‘Extremely important’. This additional measure, suggested by John Hauser of MIT, helps focus attention on the most important results from the Kano study. The second method is statistical analysis of Kano results that permits comparison of the results across different features. Suggested by Bill DuMouchel, it allows calculation of the standard deviation and hence perceptions of what differences are significant. None of the methods we read provided a compelling visualization to grasp the Kano results when taking the feature set as a whole. So we experimented, and devised the following visualization of the DuMouchel analysis. This stack ranking shows the set of features, with the potential for dissatisfaction on the left and the potential for satisfaction on the right. The ordering shows the features at the top that have the greatest potential for dissatisfaction if not included. Many features have similar potentials for satisfaction on the CQM analysis and delight in the Kano results. The conversation with the client includes tradeoffs such as complexity and dependencies. In this manner the results inform the decisions. In relation to Kano’s graphs, the two categories that can trigger satisfaction and delight are the ‘Attractive’ features and ‘One-Dimensional’ qualities. Think about the most successful products on the market today—they capitalize by emphasizing these types of features. Apple has captured the hearts and minds of customers by investing in features that delight users. For example, laptop power cords with magnetic connections break away easily to prevent damage to equipment—definitely not a must-have functionality. In addition, Apple invests heavily in ‘One-Dimensional’ qualities of elegant design and ease of use. The question is, how are these game-changing features discovered? ‘Attractive’ features are typically ones users do not know to ask for. When these features appear in the market and generate buzz, competitors are quick to copy. The features that delight users today become what they demand and expect tomorrow. But how are these trend-setting features discovered? One of the most exciting uses for Kano is supporting a dialog with clients about the primary of role generative research in product success. In generative research we observe users interacting with technology in situ. We witness unmet needs, which are opportunities to make a difference and delight users. Investing only in the design of expected features limits the ability to win the hearts and minds of users. A current feature exists as a point on one of the reaction graphs. Increasing feature sophistication moves the point along this curve. The change in emotional response depends on the reaction graph this feature sits on. For example, enhancements to must-have features may pay off by reducing customer dissatisfaction, but the ROI for continued improvement tapers off dramatically. Knowing where a feature sits as a point on one of the five graphs enables analysis of the ROI for improving the feature. The popular Net Promoter Score is a customer loyalty metric developed by Fred Reichheld of Bain & Company. It comprises the average number of users that promote a product minus those the average number that discourage others from using a product. While useful in predicting success of a product or service when compared to competitors, in and of itself this measurement does not provide guidance on how to improve. Kano results provide a method for understanding the contribution of individual features to the Net Promoter Score. Why is this true? Customers promote products that trigger feelings of delight and satisfaction. Customers discourage other potential customers from using products that are dissatisfying. Understanding how features contribute to these feelings of delight and dissatisfaction allows product managers to make smart choices to increase their net promoter scores. What Do You Need to Know to use the Kano Model? Although a Kano study requires more participants than popular discount usability methods that provide insights from five or six participants, we have identified ways for administering the survey and analyzing the data that ensure quality insights at minimal cost. As in all research methods, the number of participants needed depends on the granularity of differences that you want to detect. Large differences require fewer users. Depending on your study goals, you may want to look at results across different persona groups, or you may simply be interested in measuring within a given group of individuals. In numerous conversations with clients and others in the UX community, we believe how the study questions are administered matters. The best results stem from allowing users to experience features (wireframes with scenarios will work) and record their reactions immediately. Text descriptions or graphical illustrations that take features out of usage context yield less definitive results. Recruiting criteria to ensure users truly represent the target end user, or alternatively grouping results into different persona groups based on response to key product features. Performing statistical analysis so decisions are based on confidence levels of significant differences. Providing meaningful opportunities for users to experience (rather than simply read about) features. Measuring users’ reactions immediately after experiencing a given feature. At projekt202, we embrace design research to deliver solutions that make sense. We are constantly improving and expanding our research toolkit. Our approach to performing Kano studies provide a significant edge in understanding the nuances of related qualitative data. We researched and experimented with the Kano methodology and data until it made sense and formed a powerful lens to understand our users better. At times it felt like an archeological investigation to get back to the original vision and expertise for a method that has lost its impact because of the lost rigor in the approach taken. Our modified version of the Kano Method has become a reliable tool to assist in answering our client’s strategic questions about where to invest their design and development resources, impacting both their success and bottom line. It's always rewarding to see clients become excited about research. Its even more rewarding when the research results in successful products and great user experiences. Fueling the Internet’s next evolution, mobile devices are solidifying the new retail experience from bricks-and-mortar to the ease of click-to-order. With the proliferation of smartphones and tablets, mobile commerce is expected to grow significantly over the next three years. ABI Research predicts that globally $119 billion in goods and services will be purchased via a mobile phone in 2015, representing about 8 percent of the total ecommerce market. The mobile medium will be a key component of marketers’ overall retail strategy, even though it is still in the early stages of growth. More consumers rely on mobile to make purchases not just on their device, but also in retail stores. It has become a powerful tool for retailers to increase sales, conversions and loyalty as well as track and mine consumer data for targeted marketing. However, with evolving technologies, many retailers are also struggling with how to effectively create a meaningful user experience across multiple channels. Today, some of the largest retailers have already deployed special applications and mobile commerce sites designed for mobile devices to enhance the customer experience, while others expect mobile users to adapt to their existing ecommerce site. For the consumer, it is very apparent when they access a site on their mobile phone that is not optimized – and, there are thousands of them. Ecommerce sites do not translate well on to mobile devices because most were developed for PCs, leading to difficultly uploading and navigating. It is a common experience and easily drives consumers to other sites that are user-friendly. Mobile commerce is all about convenience. Consumers can do more than make a purchase. They are using their phones to compare prices, find retail locations, read reviews and find coupons. It is increasingly a competitive advantage for mobile sites to upload quickly and be easy to navigate as consumers weigh their options. With so much at stake, why are companies either doing nothing or trying to repurpose their ecommerce site for mobile devices? While there is not a one-size-fits-all approach, repurposing an existing ecommerce site will simply not work. Part of the problem is a lack of understanding of the technical limitations. Clearly, smartphones and tablets are equipped for Web browsing, but the technical limitations and subtle nuisances compared to a PC require some optimization. The form factor of mobile devices requires resizing of elements and content to scale to a smaller screen size while also being responsive to touch. In general, to successfully create a meaningful and compelling user experience, companies should conduct user research to determine the best strategy for their ecommerce solutions. Looking forward, companies have two options. Rather than trying to repurpose an existing ecommerce site, companies can build a mobile version of their ecommerce site. Mobile sites have some cross-platform capabilities and should not require too many different designs. The problem with this approach is the long-term cost of ongoing maintenance and adapting to other delivery channels. A better, more long-term commerce solution should have a responsive design that fits a site to a given device, screen or browser. In a nutshell, it is ideal for companies to have one Web site with one set of content and one coding framework that can be easily updated as devices evolve. While the upfront costs are more, the long-term costs will be significantly less. The cost to develop one responsive design site and cross-test it is far lower than other current alternatives. Switching devices with a responsive design requires only a presentation layer adjustment, while switching devices with a mobile site can quickly drives up costs with new designs. But there are missed opportunity costs to consider as well. It is hard to define the loss of consumers who write-off an ecommerce site after repeated bad experiences. Making a change sooner than later can help position a retailer as a go-to mobile resource and benefit from the positive brand equity on the way. THERE WILL BE a continual evolution in mobile devices. As digital channels increase, it is going to become only more complicated. While fundamentally each channel has its own needs and limitations, companies need to take a holistic approach to the customer experience and the retail strategy. A short cut now may cost you later. By 2015 it is predicted that mobile shopping will account for $163 billion in sales worldwide, according to ABI Research. As mobile devices begin to dominate the marketplace, retailers are shifting their focus to mobile applications as part of their retail ecommerce strategy. At first glance, creating a mobile app seems straightforward. Judging by the now-millions of apps out there, it cannot be that hard, right? Wrong. Keeping pace with the shift to mobile apps is becoming increasingly complex. Marketers must understand the needs of their end user, the different platforms available and the strengths and weaknesses of each—as well as their technical limitations—to create a meaningful user experience. One of the most common problems today is that companies are trying to “port” existing software applications onto a mobile platform. They are trying to squeeze too much functionality into a mobile device form factor, which has limitations on hardware and user perception. Complex applications will not translate well onto touch-enabled mobile devices because most were developed for PCs. It appears that companies take two different approaches to this issue: approximately half the companies think they can port over an existing application while the other half are embracing a simpler paradigm. The simpler paradigm leads to two common approaches to mobile app development: a single platform – native app – and mobile Web app. Native apps are device-specific apps that run directly on the device, whereas mobile apps run via a Web browser. The pros and cons are less about the platform and more about the level of delivery and the impact on user experience. Selecting the right app for an ecommerce strategy can be tricky. There are several key drivers that need to be considered. The apps’ goals should be defined from the onset: does it aim to increase sales or to provide useful information that supports an overarching ecommerce goal? Next, executives must decide on their target demographic of users to design an app in a meaningful and intuitive way for the consumer/end-user without overdelivering. There is no simple answer as to which approach is best. It hinges on balancing business goals with performance needs, usability and costs. Native apps have a distinct advantage over mobile Web apps when it comes to user experience. The Apple store currently offers more than 500,000 native apps for the iPhone and more than 140,000 for the iPad. The popularity of these apps is driven partly by their commercial promotion via the mobile app stores but also by the unique user experience that they offer. Hands-down, native apps typically offer a smoother, simpler user experience compared to Web apps. Since native apps run directly on the device, they are typically faster, can access hardware features of the device and can handle richer graphics and content. They are great for games and other performance-dependent applications, while Web apps are better suited for news feeds and less complex data. While native apps provide a more streamlined experience, mobile Web apps—which run on a common browser—are accessible by almost any Web-enabled device. The downside is the impact on the performance – they tend to be slower, which makes them feel clunky and less rich. Additionally, since Web- apps are delivered through a browser they generally cannot access hardware functionality of the devices themselves, at least not today. Aside from performance and usability, marketers must evaluate the overall cost and flexibility each approach offers. Native app development can be streamlined and efficient, enabling companies to maintain full control over the user experience. But there are some trade-offs. Since native apps are device-specific, companies will need to develop a separate app for each mobile platform – Apple’s iOS, Google’s Android and Microsoft’s Window Phone 7 – which drives up development and maintenance costs. Additionally, all native apps and future updates are subject to approval by each specific app store and user downloads, limiting a company’s ability to quickly change existing code. The ability to instantaneously update a Web app makes it a more accessible and flexible approach, but it can also add additional cost and increase development time. Web apps benefit from the updates occurring in real time with no need to download or install any software. As a result, they can evolve and advance through a more incremental process. AS MOBILE COMMERCE continues to grow, mobile apps will become even more important to marketers’ strategy. When deciding on whether to build a native or Web app, the primary consideration should start with determining the real strategic objectives and weighing them against the technical limitations of the application. Marketers should focus on functionality before complexity. With each there are trade-offs, but they can also be used to complement each other in an overall mobile strategy. Apple has shown that consumers are willing to pay a premium for products that are easy to use. So why do companies resist putting money into UI upfront? In their rush to build more features into their electronic devices, companies often lose sight of a key ingredient: basic usability. User-interface design (UI), the art of simplifying complexity into meaningful user experiences, is an increasingly important competitive advantage for technology companies launching new products, as people from consumers to business users seek solutions that offer as much intuitiveness as they do function. Today, usability is a must-have for optimal return on investment with new technologies. Companies focusing on user-experience (UX) and user-interface design in product and application development create better solutions, improving revenue, loyalty, and market share. Numerous industry studies have stated that every dollar spent on UX brings in between $2 and $100 dollars in return. Already, household names such as Samsung, Charles Schwab, Motorola, Logitech, and Dell are leveraging UX and interface design in the development of their products and applications–with strong results. While the research has been out for some time, many companies still dramatically underestimate the importance of ease of use and focus too heavily on features and functions. Some have learned the lesson the hard way. Think back to 2006, when Microsoft introduced Zune, a portable MP3 player designed to compete with the iPod. While feature-rich, Zune failed due in part to a more complex interface, which couldn’t compete with the simplicity of Apple’s design. With options that are user-friendly on the market, frustrated consumers are not going to overlook technological kinks. When a product gets singled out in the media for poor performance, it goes viral and quickly deters potential customers from not only the new product but potentially the company’s non-related products. Thus, companies face losing brand credibility, revenue opportunities, and entire markets. With the millions of dollars it takes in R&D–from the hard costs of manufacturing to the less definable costs of resources and people–the losses mount quickly with an unsuccessful product. Complications caused by design oversights have cost companies billions of dollars. In a marketplace of all too similar offerings, whether it is a website or electronic device, it is easy to see how design focused on user experience is a key competitive differentiator. The market is cluttered with “me too” products. In the last year alone, at least half a dozen tablet computers hit the market, along with three times as many new smartphones and countless MP3 players. The devices that offer simplicity over complexity win market share. Take, for example, Logitech, which, like Apple, delivered a simply superior product, the Harmony One universal remote control, that consumers were willing to pay for. Not long ago, the company reexamined how people truly use remotes and decided to move away from device-centric controls to activity-based controls. Based on research of what consumers truly needed, a simple-to-use interface solution was developed that makes controlling home entertainment easier with a full-color touchscreen, an intuitive button layout, and an exceptionally ergonomic design. While the product is more expensive than other devices, Logitech has won the lion’s share of the market because its product offers unparalleled usability. Racing to market with greater levels of functionality isn’t going to ensure dominance; solutions must offer users an intuitive and tailored user interface. Companies are recognizing that it is far less expensive to prevent a problem or usability issue from occurring in the first place than to fix it later in a redesign process. In a marketplace with very little differentiation among products and increasing complexity, companies that embrace usability early on will drive revenue, productivity, and customer loyalty. After merging with an Austin firm this summer, a Dallas technology consulting firm expects to roughly double its 100-person staff over the next two years and to open at least one new office per year going forward. The newly combines business, dubbed projekt202 LLC, should do in the neighborhood of $15 million in revenue in 2012, according to CEO Keith Jacobs. The two companies that merged, Austin’s projekt202 and Dallas’ Captura, each had organic revenue growth of more than 100 percent on a year-over-year basis, he said. “We were cash flow positive from Day One,” added Jacobs, who ran Captura before the August merger. Although it does three types of tech consulting, projekt202 hangs its hat on “user experience design,” meaning the development or revamping of products to make them faster, easier and more efficient to use. For instance, projekt202 helped Charles Schwab & Co. Inc. overhaul software that day traders use to buy and sell stocks. On top of user experience design, projekt202 does digital marketing, the latter meaning pay-per-click or paid search online campaigns, search engine optimization and email and social media pushes. Jacobs said projekt202 is one of only a handful of companies that offer those three buckets of services. That helps prevent disconnect when the product design of one shop isn’t fully grasped by , say, the digital marketing company that’s hired to market the thing. It also ensures clients need hire only one vendor to accomplish all three of those jobs – and that the customer has the proverbial “one throat to choke” if something goes wrong. So far, having the three service lines seems to be paying off for projeit202. The company has done work for a range of household-name clients, including Schwab, Fort Worth’s Pier 1 Imports Inc. and Expedia Inc.
For Jaguar Hospitality Services Corp., a Plano firm that does purchasing of fixtures, furniture and equipment for the hospitality industry, projekt202 developed a proprietary system that automates many tasks, from estimating how much one of Jaguar’s clients’ jobs will cost to closing out the finished work. The projekt202 technology also provides Jaguar clients the ability to see how their purchasing is progressing. For now, project202 plans to grow at a rapid pace. Jacobs hopes to open at least one office next year in Chicago, Seattle or London. Most of the new hires are of the technical variety, including back end and user interface developers and interaction and visual designers. There’s even a place for psychology and anthropology majors at projekt202, who will study how product users behave to create better design. It’s about time to change the stereotypical tablet user from casual and hipster to high-management. The post-PC world is now; tablets and other mobile devices are beginning to dominate the marketplace. An estimated 45 million tablets will be sold in 2011, three times the number sold in 2010, according to BMO. With that explosion in popularity, it is no surprise they are making their way into the enterprise environment. From the emergency room to the boardroom, tablets and other mobile devices are decreasing paper-based processes, as well as improving communications, workflows and efficiencies. The linchpin to tablets’ future in the enterprise environment will be the incorporation of a tablet user interface. Filling a different niche than PCs do, tablets will be widely adopted in the enterprise environment in numerous verticals. Eighty percent of businesses will support a workforce using tablets by 2013, according to Gartner (NYSE: IT) Research. The old computer paradigm of a massive box that takes up half a desk was a result of physical, size and weight limitations; the tablet has lifted these physical barriers, paving the way to excel in mobile and other environments. Tablets are already used across a swath of sectors, including healthcare, manufacturing, financial services, real estate and retail. Hospitals are using tablets to facilitate information sharing. Instead of fumbling with a pile of charts or rushing back to a desktop, doctors can quickly access a patient’s records, check for medication interactions or view x-rays from anywhere in the hospital. Financial institutions are leveraging these devices to streamline loan applications. Architects are bringing tablets to meetings to show blueprints and floor plans that can be updated on the fly; previously, mounds of printed plans would be out of date the second an alteration was made. Retailers are implementing tablets to have roaming checkouts, price checks and inventory records. Airplane pilots use tablets for charts and other navigational tasks. These applications are just the tip of the iceberg — enterprise tablet uses will develop with the product itself. Despite all the success stories, the tablet is not right for every environment — at least not today. It is all too trendy to look to the tablet for every business environment, but certain solutions are just too complex or oversaturated with features to be easily ported to the tablet. Job functions that require heavy data entry and intricate document creation are currently too cumbersome to carry out on tablets. It is less about the tablet itself and more about the task the tablet is asked to perform. This will change in the future, as the next five years will be dramatic in the progression of tablet capabilities. For example, actionable table functionality is expected to flourish through voice commands, advanced gestures and other methods. While numerous businesses are finding improved efficiencies and communications since adopting tablets, others are trying to ascertain if they’re right for their organizations. Regardless of some of the tablet’s obvious limitations, however, they will continue to find their way into the enterprise environment. Before an organization adopts a strategy to implement tablets, there are some things to consider. Understanding the role of the users and the functionality they require is critical to maximize the success of deploying the tablet in the enterprise environment. Companies with employees who work in the field, for example, will benefit greatly from tablets. Companies also need to evaluate the available applications in the market in order to best apply tablets in their daily operations. Unfortunately, today’s application offerings are often ported from existing applications and do not translate smoothly to the tablet because they were created without much consideration for touch-enabled devices. Furthermore, complex software applications for the enterprise include a number of features that do not lend themselves easily to the simpler and more intuitive application paradigm and input methods that the tablet platform supports. They will have to be restructured and deployed with a subset of functionality in order to be cohesive with tablets. However, it is important to understand that tablets are still in an early development stage, and there are not many suitable applications available on iOS or Android to support an enterprise or productivity-focused company. However, specialized workforces and mobile workforces can leverage existing tablet offerings to increase efficiency and streamline daily processes now. Once the kinks in the user interfaces of ERP-level applications are ironed out, tablet use in business will excel well beyond those specific workforces. Improved user interface design will transform the way tablets are used in organizations and greatly increase the benefits of tablet implementation in businesses. Going forward, it will be paramount to design interfaces that will allow users different, customized applications that are tailored to their specific needs for a seamless experience. The reduced form factor of a tablet and the usage patterns of the end user require a special user experience that showcases just a fraction of the functionality of an enterprise-rich desktop application; tablets don’t have the capacity to offer everything a PC does, but they offer unique advantages. Out of the box, the tablet is a great tool for specialized tasks in workforces. However, the integration of superior user interface designs will accelerate the tablet’s adoption in the enterprise environment — and that adoption will accelerate efficiency and productivity in myriad industries..